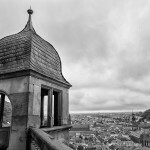 Wurzburg Residence, Germany: Photo of the Week | Travel? Yes Please! 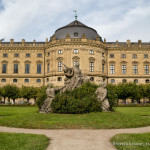 The Wurzburg Residence is one of the largest and most magnificent Baroque palaces in Germany. 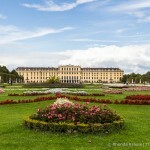 It was built between 1720-1744 under the patronage of the Prince-Bishops of Schonborn. The interior is impressive, although somewhat kitschy by today’s standards, and has been restored since being heavily damaged in World War II. As usual, when visiting a palace the part I enjoy most is wandering through the Court Gardens. There are many sculptures, hedges, and fountains to relax by and admire.